The recipient of the Jane Phillips Award Student Prize was selected by Mission Gallery and the Jane Phillips Award Chairman. We would also like to draw attention to our Highly Commended candidates. Shelby creates bespoke interior fabrics. Committed to the exploration of traditional textile techniques, her graduate collection is a mix of luxurious velvet, silk, and wool blends. 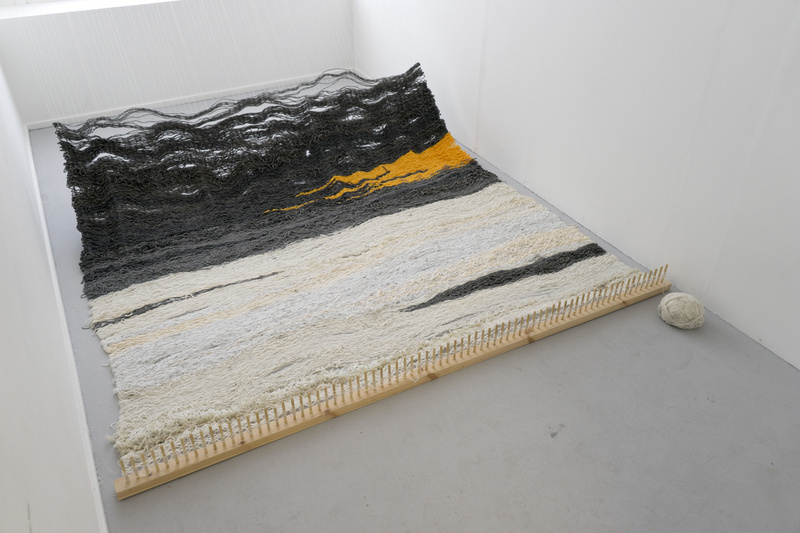 The work draws from photographs of stone from her Grandfathers quarry and the Jurassic coast. Her chosen pallet is a combination of muted and rich colour, drawn from the natural qualities of stone. A layering of silkscreen processes communicates the textural nature of limestone, Cotswold stone and Indian slate. 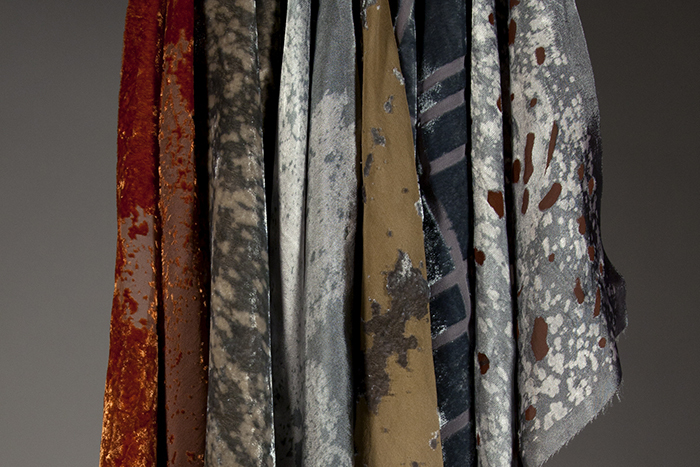 The use of devoré, flock, foiling, shibori and hand dyeing provides a unique combination of embellishment and manipulation, which both builds upon and strips down surfaces. This has provided her materials with tactile, translucent and texture rich qualities. She hopes to per sue a career in interiors and silk-screen. Tobin is a recent fine art graduate of UWTSD Swansea. Her degree show work, entitled Remnant, is the culmination of 3 years of research into compatible metaphors for the human mind, specifically its deterioration or rehabilitation, following mental illness. The process of weaving lends itself to being interpreted in this way. Thoughts can be tangled and emotions can fray in similar ways to thread and fabric. Furthermore the word ‘remnant’ is included in this shared language. A remnant is a scrap of unused fabric, a fragment or leftover – the residue of something once far greater.